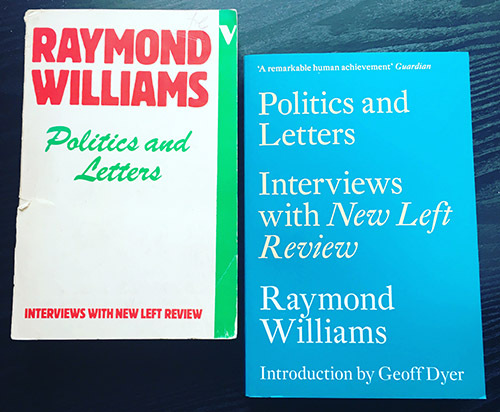 Originally published on the blog of the Raymond Williams Society. Daniel Gerke will be speaking at the RWS Conference in April. It is, as one would expect, a balanced and subtle account; unsurprising, then, that Perry Anderson’s contextual introduction focusses on the perplexing question of why Williams published it in The Twentieth Century, a journal so committed to the anti-Marxist side in the Cold War that the CIA bankrolled it until 1958. It was ‘casting pearls before swine’, vents Anderson, and indeed the swine ignored it. There was an obvious alternative publication: New Left Review, in which, just a month before, had appeared the first part of E. P. Thompson’s critical review of The Long Revolution(1961), itself published earlier that year. Anderson bemoans the missed opportunity of a debate in the pages of NLR, in the early sixties when it really would have mattered, between these giants of the New Left, made even more tantalising by the fact that ‘The Future of Marxism’ is so different in emphasis from The Long Revolution. In 1961, Williams was some way off this synthesis, but the shape of it, I think, is implied by the specific analyses of ‘The Future of Marxism’. What the title ends up being about is how Marxists in the capitalist and in the revolutionary communist societies might share their different experiences, drawing on the best of both traditions. Socialists in the West, for example, ‘can offer a tradition of critical independence and a tradition of active democracy, which in themselves do not compose socialism, but which are essential to any mature form of it’. ‘The future of Marxism’, argues Williams, ‘depends on a recovery of something like its whole tradition […] in the course of defining relations between our own socialist movements, the liberation movements of the industrially backward countries, and the developing Communist societies’. There is a certain insularity, perhaps, in the fact that Williams does not offer specific examples of lessons coming the other way, from the communist societies to ‘ours’. But that, he implies, is partly the fault of orthodox Marxists in the West, dismissive of their own traditions and overly reliant on foreign orthodoxies: ‘there is something ludicrous in the practice of Western Communist parties imitating the habits of thought and theories of organization deriving from wholly different social situations’. Hope, for Williams, lay with ‘the independent Marxists of the West’ who had, by this time, turned to the Karl Marx of the Economic and Philosophical Manuscripts of 1884 and the critique of alienation, and with those non-Marxists socialists, among whom Williams might have counted himself in 1961, working on questions of community, culture and experience.